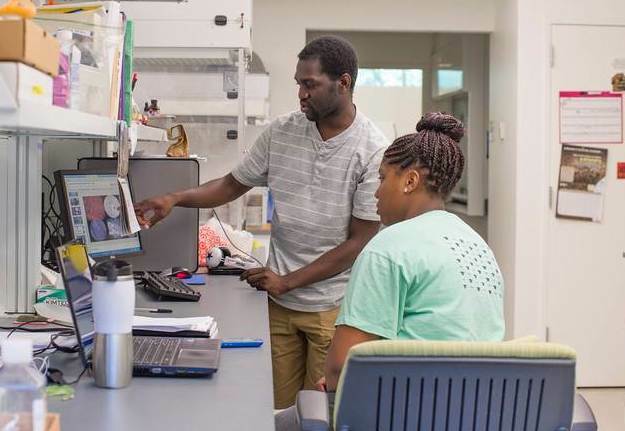 How we can leverage a Hive network-effect to create pathways to STEM success for students from populations currently under-represented in STEM. As the Chicago Botanic Garden celebrates the 20th Anniversary of our #CollegeFirst20 program, I got to thinking about the impact the program has had on so many Chicago Public School students who might not have considered STEM careers, and may not have achieved them without the multi-year mentoring, academic, and college readiness support we offered. 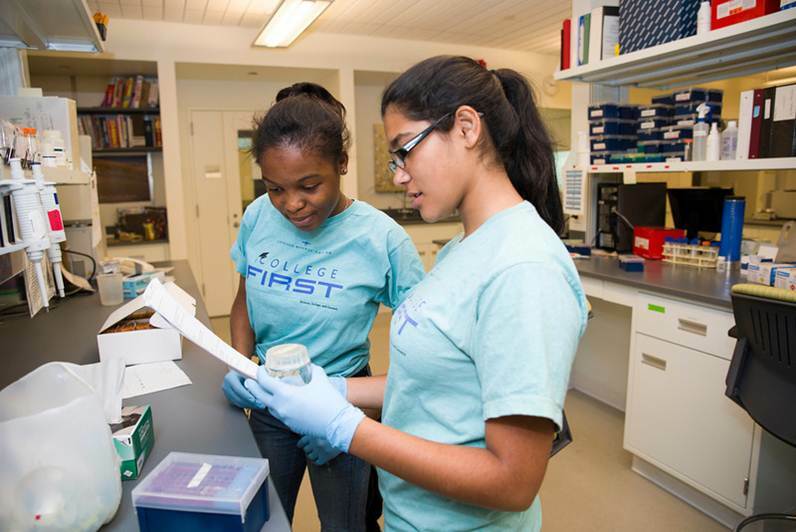 A number of museums and informal education providers have been offering multi-year, intensive, STEM programming for years, but the “pathway” approach as a way of engaging youth from populations currently under-represented in STEM fields has recently gained new favor in many educational contexts, with museums, schools, districts, and policy makers at state and federal levels, driving funding for opportunities (formal or informal) that that propose to increase overall diversity in STEM by supporting these youth in moving along a trajectory towards a specific STEM career. Some take issue with the “pathway” metaphor – claiming it mischaracterizes how youth make decisions and move through the world – and they may be right in a narrow sense of the word. However, one of the primary goals of Hive is to accommodate this movement, facilitating Connected Learning by making accessible a variety of different opportunities and types of programs across which youth move, perhaps with the help of digital badges. Pathways programs are just one option, and are not limiting in their focus, but rather provide the resources and support to those for whom this program model is appealing, perhaps because it is specialized and intensive. And it’s clear that many of these programs are successful (NYSCI Science Career Ladder, Project Exploration, and the Garden’s Science Career Continuum among others). However, to my knowledge there hasn’t been any collective assessment of the critical components of these programs, nor has there been any investigation of how different components interact to support the success of students who are from populations under-represented in STEM careers. Yes, there has been substantial research on individual factors – cognitive, affective, contextual, and programmatic – that contribute to long-term academic success in science. Yes, we know disciplinary knowledge, professional identification, and navigating educational transitions, as well as affective aspects like academic mindset (academic community, self-confidence, and belief in the value of their work) and perseverance (“grit” and self-control) have all been identified as important. Yes, we know programmatic features like mentoring, social interaction, exposure to research and field work, collaborative learning, apprenticeship, and the creation of a safe space (physical and emotional) are important. But looking at these factors in isolation gives us, in my opinion, little insight into their relative importance or how they interact. There is too much we don’t know: What does a comprehensive, holistic approach to addressing cognitive, affective, and programmatic needs of diverse students look like? What are the critical aspects of successful pathways programs? How do specific programmatic components of a pathway function independently and together to support student success? What is the relationship of pathways programs to the educational system? How can critical aspects, once identified, be integrated into the broader educational system? In fact, understanding how these pathway programs work effectively, is critical to a variety of other connected learning goals – if we don’t know how or why they work, how can nascent community badging initiatives such as the Community STEM Badge Ecosystem, or more robust badging platforms like the Chicago City of Learning effectively leverage the power of digital badges to make relevant and powerful connections for youth? What we can do is leverage our collective knowledge around successful pathways programs (and I know there are many of you out there so don’t be shy) to begin to answer some of these questions. The Hive Chicago Fund is helping to get this ball rolling by supporting the Pathways to STEM Success program which intends to take the first steps in understanding how these programs function, create a context for a deep exploration of their long-term impacts on students from under-represented populations, and ultimately contribute to the design of a more powerful end equitable education system. So here’s my call to action: if you have a STEM pathway program at your organization, particularly one that engages youth from populations under-represented in STEM, we want to hear from you. We invite you go join CBG, Project Exploration, and NYSCI in Chicago (travel stipends for selected national Hive member partners provided courtesy of Hive Chicago) on Oct 16 for a Maker Party at STEM Expo/Ten (sponsored by the US Army) and on Oct 17 for the Pathways to STEM Success Kickoff meeting. If you’re interested, fill out the application or comment on this post for more information. Actually, forget pathways… together we can create 6-lane super-highways that give all youth an on-ramp to achieving their dreams, no matter which direction they want to go.